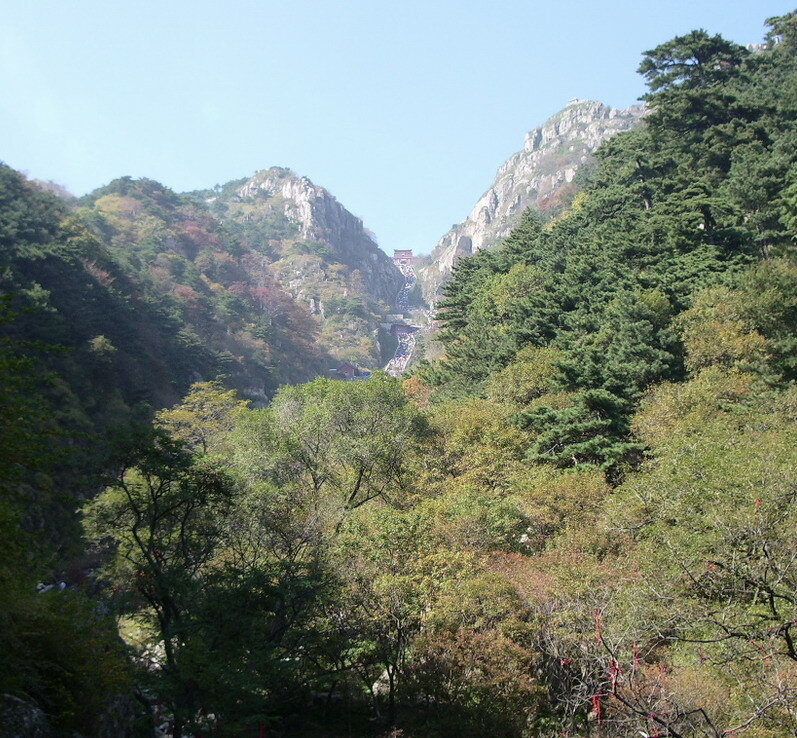 Mt Taishan, as a famous Taoist mountain and one of the five holiest mountains in China, has been the object of imperial pilgrimage for thousands years, which made it superior over any other mountains within China. According to historical records, there had been 72 emperors offering imperial sacrifices here. As a source of inspiration to artists and scholars, the mountain has inherited thousands of cultural relics. 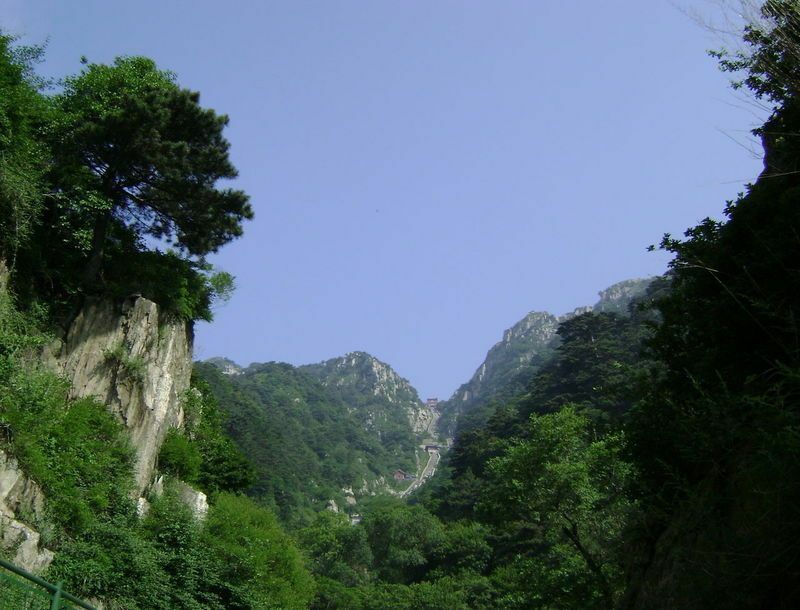 The sacred mountain is in certainaspect a symbol of Chinese civilizations and beliefs. In 1987, it was included as a World Natural and Cultural Heritage by UNESCO. Climbing the mountain is grueling. Of the two possible routes to the summit, the central one is most people's choice although they converges at Zhongtianmen where a cable car system reaches Nantianmen, since on the route there are a collection of bridges, towers, inscriptions, caves, temples, trees and rivers. The climb beginning at Daizongfang to Zhongtianmen is a 3000 steps stairway walk. Wusongting (Five Pine Pavilion) is a little stretch further. A story says that Emperor Qin Shi Huang was sheltered by the pines in a storm and then he granted them an official rank of ministers. The precarious Path of Eighteen Bends is a hard climb leading to Nantianmen. Bixiaci (Azure Clouds Temple) is a temple of about 1,000 years. The halls in it have iron tiles and bronze eaves. 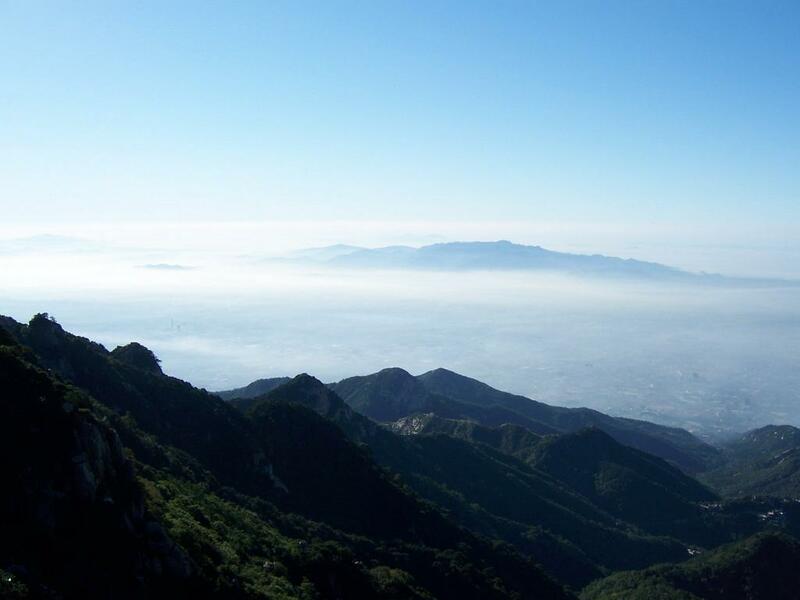 Yuhuangding (Jade Emperor Summit), also called Daiding, is the summit of Mt Taishan. Emperors used to offer sacrifices to Heaven on the peak. Riguanfeng (Sun View Peak) east of Yuhuangding is the best place to watch sunrise. Descending to Zhongtianmen and taking the western route, you will see the beautiful scenery of Mt Taishan.